Two of Tintswalo’s 5-star properties, Tintswalo at Waterfall, north of Johannesburg; and Tintswalo Safari Lodge in the pristine Manyeleti Private Game Reserve; have won a Platinum Award – presented to those restaurants with a total score of between 81% and 90% – in this year’s Diners Club Winelist Awards. Tintswalo Safari Lodge made their debut on the prestigious list for the first time, whilst it is the third Platinum Award for Tintswalo at Waterfall. The annual awards, now in its 23rd year, recognise those restaurants that excel in their wine selection and pairing of food with wine. Tintswalo seeks to offer both international and local guests interesting wine lists that perfectly complement the cuisine and primarily highlight the abundance of quality wines available in South Africa – from iconic vintages to new trailblazers. The wine list of Tintswalo at Waterfall was jointly compiled by General Manager Martin Greyling and Operations Manager Willem Schaap. It has a distinctly South African feel, championing local vintages. A short but fine list of French Champagne and exclusive auction wines, as well as a ‘Wines of the World’ section with vintages from France, Italy, Spain, Chile and New Zealand, completes the offering. 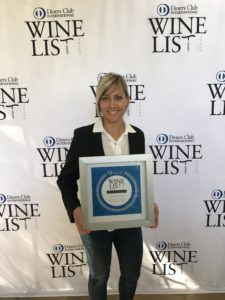 Tintswalo Safari Lodge’s Platinum-winning wine list was compiled by Camp Manager Tanja van Tonder. 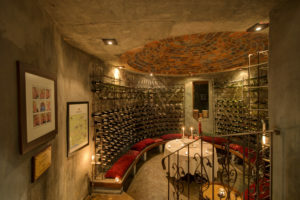 The wine list impresses with an expansive, exclusively South African selection, that includes White blends as well as Bordeaux and Rhône style blends, and with a nod to Europe, a concise French Champagne section.